Do you feel the spirituality in nature? Are you full of questions about mainstream religion? Do you long to engage in rituals that have meaning for you? Perhaps you are a Pagan at heart. Pagan Ways is your first step toward finding your personal spiritual truth. It is designed to offer enough understanding and insight to allow a fully thought out and firm decision as to whether or not Paganism is, indeed, the path for you. Explore the history of Paganism and the founders of the modern Craft movement. Learn how the Pagan God is found in the cycles of the seasons, how to get in touch with nature spirits, what celebrations are included in the Pagan calendar, the tools used for magick and worship, how to erect an altar, how to conduct a ritual, how the eight Pagan virtues fit into your life, and what the stages are to becoming a Priest or Priestess. 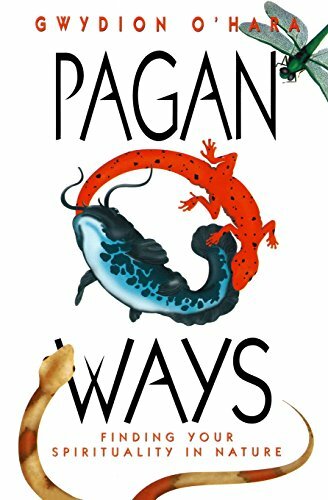 Pagan Ways was originally penned as an introduction for those who would seek their spirituality through the ancient wisdoms that were commonplace in ages past. Since its release, it has been incorporated as a guide among diverse Pagan/Wiccan groups, and is a marvelous first step into the natural world of spiritual wonder. While it is basic in its approach, it is quickly proving to be universal in its appeal.